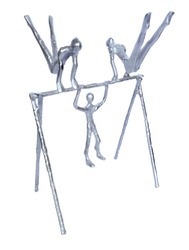 We are a leading Manufacturer of aluminum abstract decor, aluminum mother & baby statue, aluminum dancing sculpture, aluminum dancing couple, aluminum yoga statue and aluminum gymnastic decor from Moradabad, India. We offer supreme quality Aluminum Abstract Décor to our prestigious customers. Manufactured from finest quality aluminum, the offered décor is widely used in hotels and restaurants for decorating interior. Available with us in standard market prices, the offered décor item is known for its lustrous design and trendy looks. Furthermore, the offered products can be custom designed. 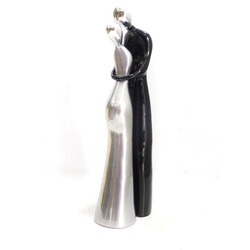 We hold expertise in offering high quality Aluminum Mother & Baby Statue to our valuable customers. Craved by highly experience craftsmen, the offered statue is widely used for various decorating purposes. Available in different sizes, the offered products are high in demand for their eye-catching appearance, resistance to corrosion, and elegant design. In addition to this, the offered products can be availed in bulk with standardized packaging. 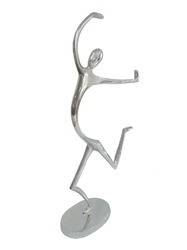 We are offering Aluminum Dancing Sculpture to our clients. Owing to our vast experience in this domain, we have been able to offer world-class Aluminum Dancing Couple to our clients' end. Owing to our vast experience in this domain, we have been able to offer world-class Aluminum Yoga Statue to our clients end. 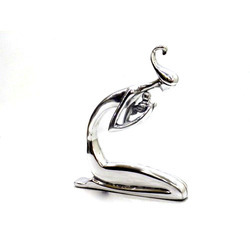 Owing to the vast experience in this field, we have been able to offer outstanding quality Aluminum Gymnastic Décor to our valuable customers. Available with us at cost effective market prices, the offered products are widely used for decorating interior of homes, offices, hotels, and restaurants. We deliver these decors within fixed time frame, owing to the sincere efforts of our logistic professionals. 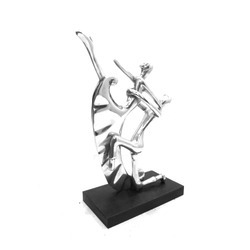 We are one of the leading manufacturers and exporters of excellent quality Aluminum Dancing Sculpture. 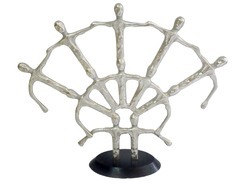 The offered sculpture is manufactured from finest quality aluminum that is procured from well known vendor. Available in different sizes, the offered products are commonly used for home, office or hotels décor. 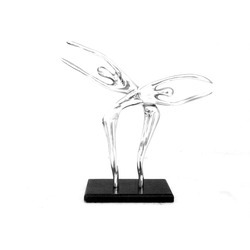 The offered sculpture are known for their lustrous appearance, trendy design, and resistant to corrosion.